I really want to buy this smartphone and wait for stock, but now pending because my friend had this phone, then had been offered to upgrade firmware via OTA (mean official offering). He took that chance then his phone K860 got trouble. Became slow. Then visit to Lenovo Service center in Jakarta, surprisingly they (Customer Service) said that update is illegal and not perfect and to fix that must take 1 month service. Whattt? Official offering marked by CS as illegal? jen, 06 Nov 2012One of those best buys for an android phone ...bought mine from memo express in megamall at ze... morehow was the skype usage on this phone? I got a Lenovo K860 yesterday. Running Antutu when I checked the system info I was surprised to see cpu model-Quad core-A7, RAM 691MB & CPU Hardware- Stuttgart instead of what is claimed by Lenovo 1GB RAM, A9 quadcore processor, CPU- Samsung Exynos 4412. This phone can update to Jellybean? does this phone has native videocall? AnonD-135490, 13 Apr 2013Hi Buddy, My mobile is heating like hell if I play any game more than 10-15 mins. I have alrea... moreMy post has been deleted. I suppose we aren't supposed to use Ph. Nos in here. AnonD-129402, 26 Mar 2013this phone is really good..the gaming experience is extremely wonderful...what i didnt like is... moreYes agree. But there was patch released on February for this issue and now in-caller volume issue resolved. Anonymous, 07 Mar 2013How do you install google play on it?It comes with Google play then why you want to install again.. Anonymous, 01 Apr 2013Like a phone is amazing, but its only 2G, its internet speed connecction is slowWho told its only 2G , it has WCDMA and its 3G standards... I am usig Airtel 3G 10 Data cinnection and its working like charm. AnonD-101934, 10 Apr 2013You need to do that manually using File Manager. Hi Friend, Here its little bit tricky as there will not be option to move instead you have to do cut/copy/paste through file manager. 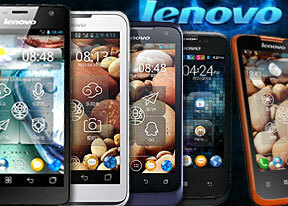 AnonD-101934, 10 Apr 2013I would suggest you to wait for Lenovo K900. If I am not wrong, it's going to be Lenovo's flag... moreHi Buddy, I bought this mobile through Snapdeal India last January itself. 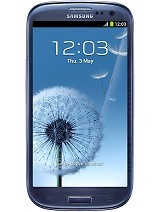 Phone is awesome and I bought it for 27K now its came down to 25K. But don't forget to do the heat test by running some HD games as my mobile is heating like hell. Apart from heating issue this phone is mini play station for playing games and worth buy on this budget. AnonD-101934, 10 Apr 2013Sorry for the late reply. I am not usually much into music from a mobile phone. Maybe other us... moreWith default headphone music is average but if you use different headphones like Samsung or Philips will be good. Also default music application will be Google play and we can't do much with it. So I bought poweramp and they are the one good in business. Anonymous, 04 Feb 2013Hey dude how's the music clarity and loudness in headphones. Please tell me. It is one of my m... moreSorry for the late reply. I am not usually much into music from a mobile phone. Maybe other users can help you out with that. 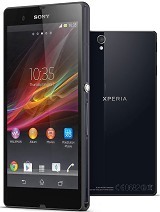 Anonymous, 04 Feb 2013I stay in India and i am going to buy this phone in the month of may 2013. Will i be able to g... moreI would suggest you to wait for Lenovo K900. If I am not wrong, it's going to be Lenovo's flagship phone.